From Country House auctions to those targeted at a very niche market, Cuttlestones has extensive experience. We’ve helped sell everything from the contents of rambling country piles with items of significant value through to collections of farm machinery and have even sold aircraft off the airfield! Whatever you are looking to sell, we can provide a comprehensive service from valuation through to extensive, targeted marketing of the sale and specific lots to the most relevant audience. Sales can be hosted in our Penkridge or Wolverhampton auction rooms, on site at your premises or at a number of high profile venues throughout Staffordshire and the West Midlands. 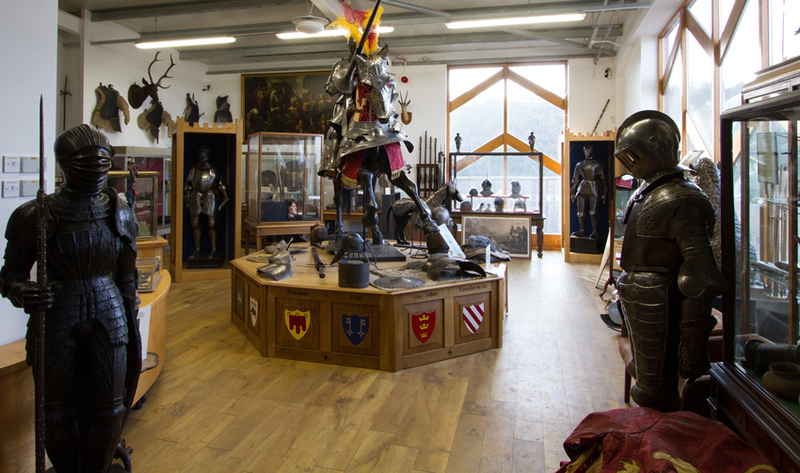 We were delighted to receive instructions to handle the sale of arms and armour hailing from a significant, single private collection that, up until now, has been housed at the Stratford Armouries Museum near Stratford-upon-Avon. The 600-lot catalogue included items of arms and armour spanning various periods and continents; alongside lots of naval interest, tribal artworks, bronze sculptures, heavy artillery, game and sporting trophies and lots related to luminaries including Lawrence of Arabia, Sir Winston Churchill and Stratford’s most famous son, ‘The Bard’ William Shakespeare. With over 1000 clients attending the on-site auction Cuttlestones sucessfully sold to over 25 countries using our online bidding services. To make space for new aircraft and related memorabilia vintage aircraft specialist and supplier of props to the film industry Retro Aviation (credits include 2008 Bond film, Quantum of Solace) commissioned Cuttlestones to hold an on-site sale of various aircraft and related items at its Shropshire airfield. Following the death of Francis Machin, son of world famous British artist Arnold Machin, Cuttlestones were entrusted by the executors of the estate and the Machin Art Foundation to undertake the clearance and sale of contents of the family home at Garmelow Manor. Gathered over several decades the collection covered areas as specialised as agricultural machinery and aircraft engines, warranting extensive research to ensure each lot achieved its full potential. 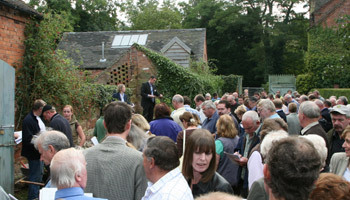 The first sale took place at the manor itself and saw the sale of some 500 items including art, ceramics and furniture. The superior fine art collection, meanwhile, demanded an exclusive sale which saw an impressive £250,000 realised in just 83 lots. In total, the Garmelow collection realised in the region of £400,000.